With the arrival of the first of the three Swarm satellites in Plesetsk, Russia, on 17, the launch campaign has begun. 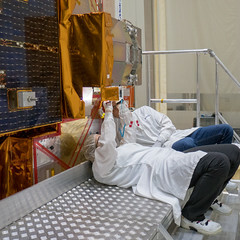 The Swarm mission is scheduled to be launched on 14 November on a Rockot. 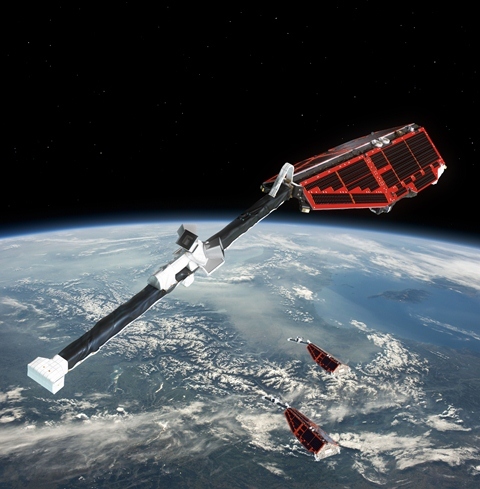 Swarm is ESA’s next Earth Explorer mission and is designed to measure the magnetic signals that stem from Earth’s core, mantle, crust, oceans, ionosphere and magnetosphere. It will give us insight into Earth’s interior and offer a better understanding of the processes that drive Earth’s dynamo, which currently appears to be weakening. So we are out here to prepare the three satellites for launch. The weather is pleasant, unseasonably warm. Actually a small advance team had already reached the city of Mirny on 12 September on the night train from Moscow. They had to inspect and accept the preparation facility and set up the IT network. After a bit of delay in getting clearance for the Plesetsk Cosmodrome, the facility inspection was carried out on the 16th. They didn’t find any showstoppers despite a few jobs that had to be done. These open tasks were mainly due to the fact that on the night of 11–12 September three Russian Gonets satellites had been launched on a Rockot and so the facility hadn’t yet been reconfigured for our needs. The Ilyushin IL-76 carrying the first Swarm satellite and two containers with part of the EGSE and MGSE left Munich at 06:00 on 17 September. Following a short stop for custom clearance at Arkhangelsk, the aircraft landed in Plesetsk at 15:30 local time. The plane was unloaded and the cargo was taken by road to the MIK, which took a couple of hours. The satellite container was safely accommodated in the MIK General Hall before midnight. The next cargo flights with the other two Swarm satellites are planned to arrive at Plesetsk on the 19 and 21 September, respectively.